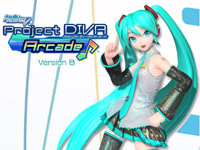 Version B of Hatsune Miku Project DIVA Arcade is available today. 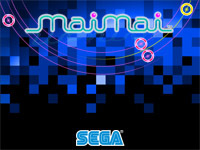 Sega has added some new features to delight Miku's fans. The first one is the "PV" function that allows to shoot pictures of a scene during playback and send them to DIVA.NET. 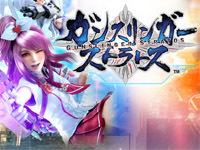 The player can store up to 3 and uses them as mobile wallpaper. A new "Rival" mode is introduced: players scores registered on DIVA.NET will be displayed on the game screen, so it is easier to compete with friends. Also new: it is now possible to randomly select music and modules, players can tweet their results from the game directly and a new "Excellent" note is available. 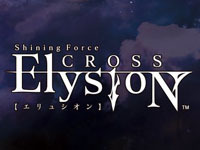 Shining Force Cross Ver.A Elysion is the first update of Shining Force Cross Elysion that was released in March. 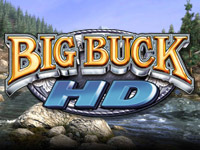 Unfortunately, there is no major new features, the changes are mainly related to gameplay, weapons, attacks and damage. More specific adjusments were also made to Normal and Elysion modes. 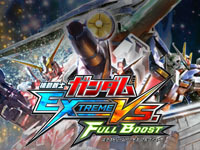 Mobile Suit Gundam Extreme VS. Full Boost third update is released today. New features: a new mecha, a new map and a new Navi. The new mecha is the MS-08TX [EXAM] Efreet Custom driven by Nimbus Schterzen coming from Mobile Suit Gundam Side Story: The Blue Destiny trilogy out on Sega Saturn in September 1996 for the first episode, in December 1996 for the second and in March 1997 for the last one. This mecha has three weapons: Grenade Launchers Twin, 6-Tube Missile Pod, Heat Saber and it has also special attacks. The new map "Manyupichi" is the same as in Extreme VS. but now the fights take place in the evening. Maureen Kitamura is the new Navi, she also comes from Mobile Suit Gundam Side Story: The Blue Destiny. 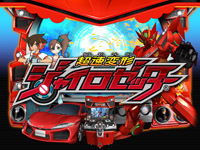 Square Enix releases ChÅ Soku Henkei Gyrozetter (Super High-Speed Transforming Gyrozetter) today. This car/robot game features an unique concept. The cabinet can be transformed from a driving mode to a robot operating mode! The first mode is a driving mode featuring cars from these constructors: Toyota, Nissan, Subaru, Mazda, Mitsuoka and Mitsubishi. The second mode is a robot battle mode. The cars from the first mode can be transformed into robots. You can watch the trailer to see the cabinet transformation! 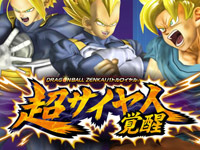 The team developing the game is the team behind the Dragon Quest: Monster Battle Road game (led by RyÅ«tarÅ Ichimura, creator of Dragon Quest VIII and Dragon Quest IX). Square Enix has big plans for the Gyrozetter licence: an anime series from A-1 Pictures will be released this October, there is also a manga published since December and a Nintendo 3DS game will be out on Spring 2013. 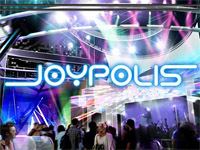 Toys, card games and other products are also planned. 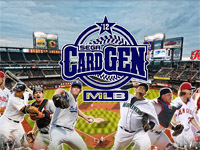 Sega Card-Gen MLB 2012 will be released tomorrow. The second edition of the card game from Sega gathers 30 U.S. teams and 400 players are represented on the cards produced by TOPPS. Two game modes are available: mode "season" mode and "tournament". The game can be played in simulation mode: actions are done automatically depending on the pitcher and batter characteristics or play mode: the player uses the touch screen and buttons to control the pitcher and the batter. RingEdge 2 powered Sega Card-Gen MLB 2012 is compatible with the Aime card and supports ALL.Net network.